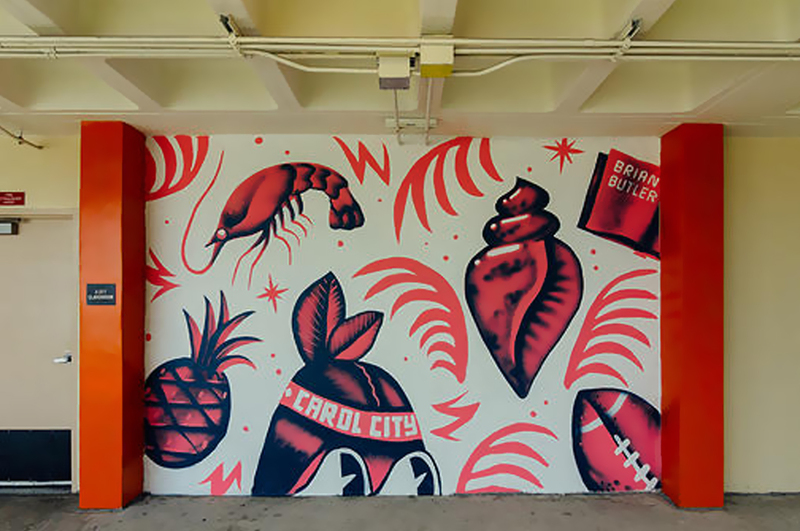 I painted this mural at Carol City Middle School as part of the Art In The Gardens Campus Beautification Project, curated by HecOne. Very happy to have take part. 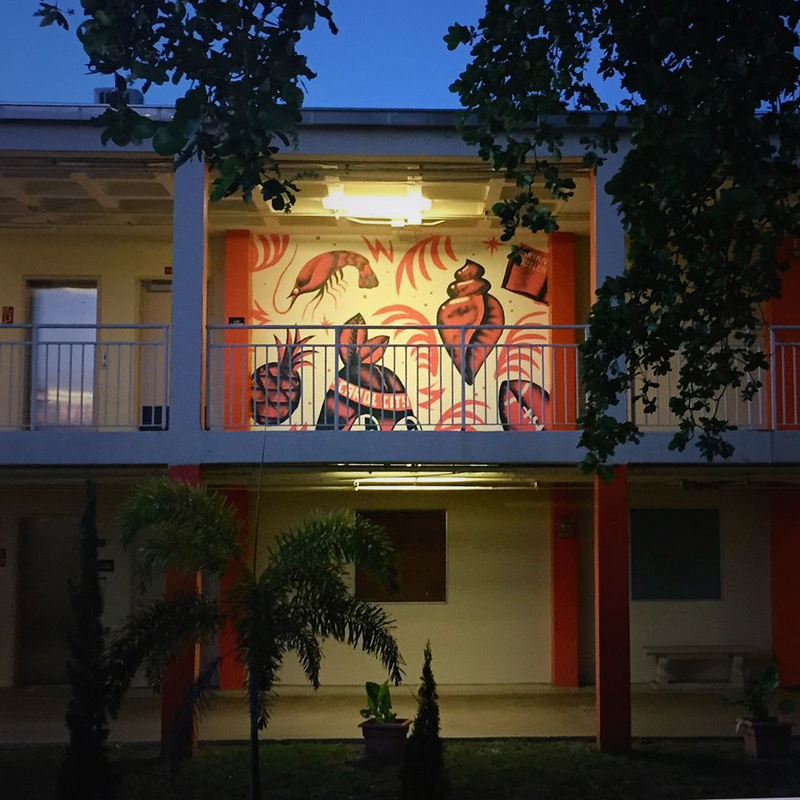 I know the “Lil Chiefs” are going to be stoked on all the new artwork on their school.